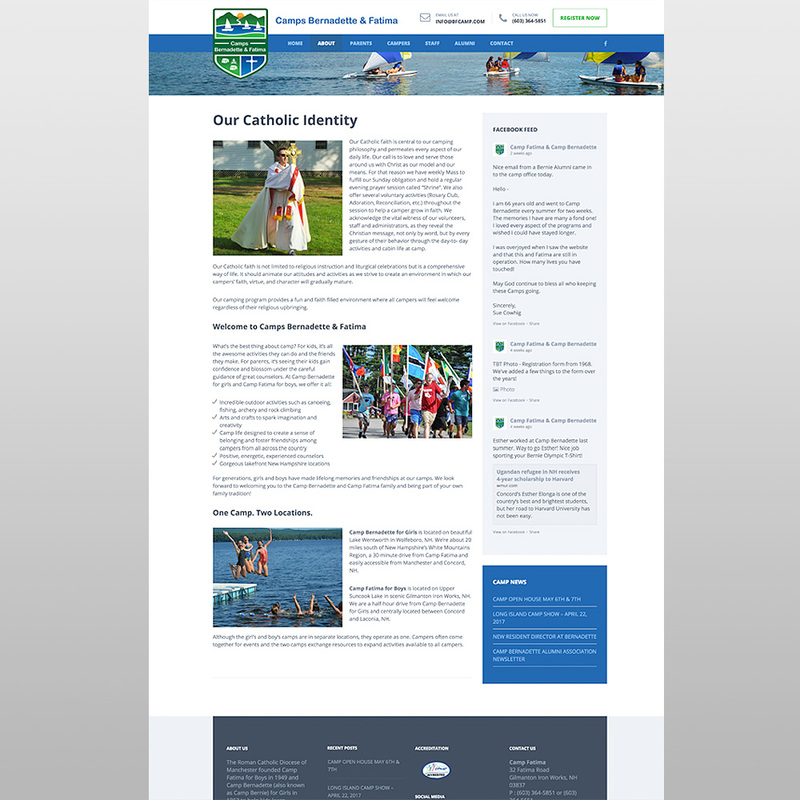 One of New Hampshire’s oldest Catholic camps, Camps Bernadette & Fatima, chose Radar Marketing Group to help update their brand to be competitive with other New Hampshire & Lake Region summer camps. 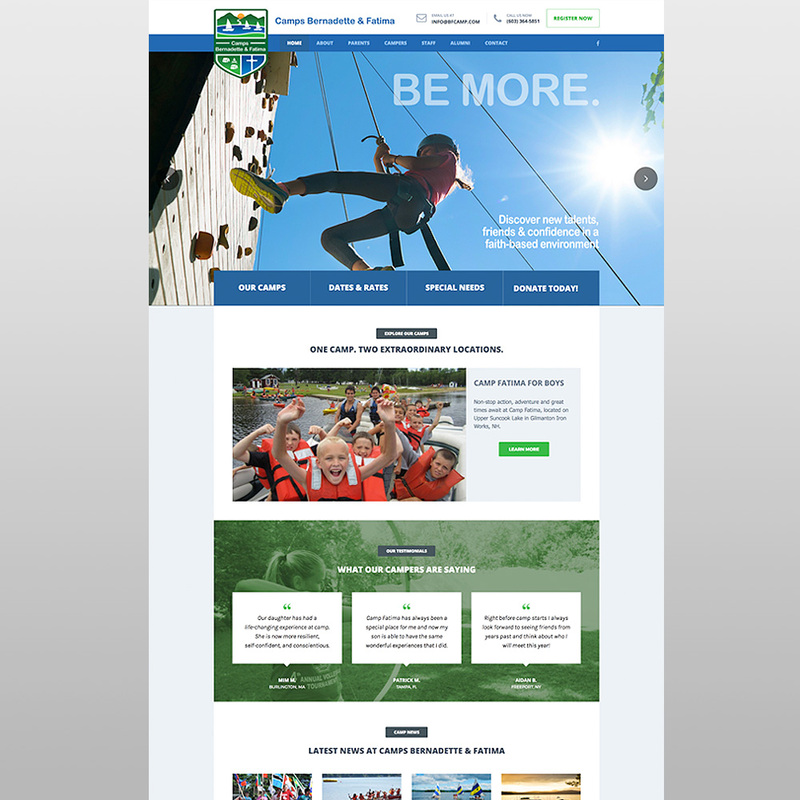 They wanted a fresh new look for their website and marketing materials that accurately portrays the amazing experience campers will have at their camps. 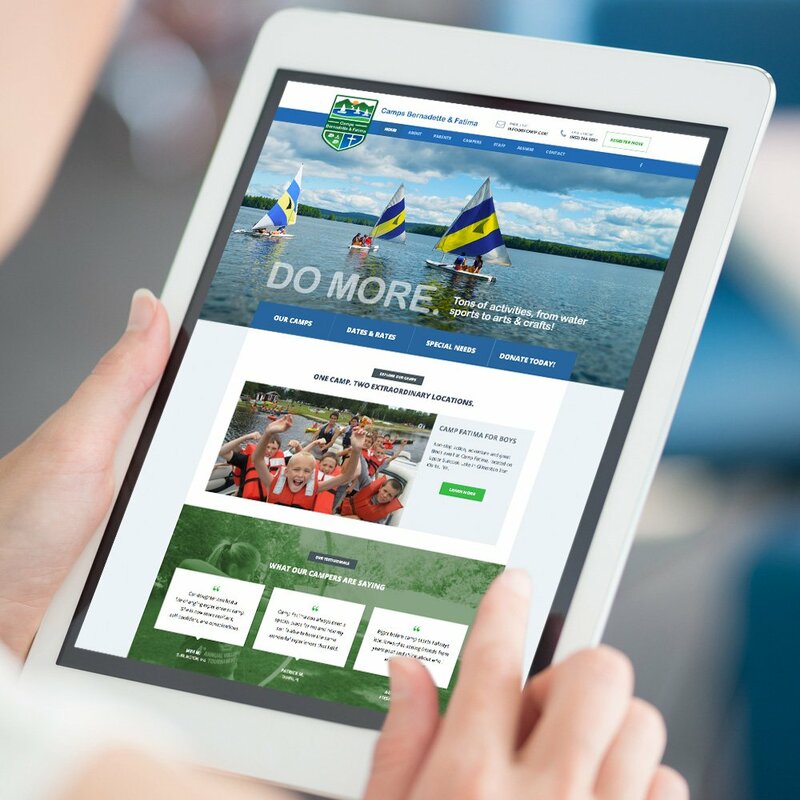 They wanted the website to also be a place for parents to go to see what’s going on at camp. Their website needed customized functionality to connect to their 3rd-party registration software.